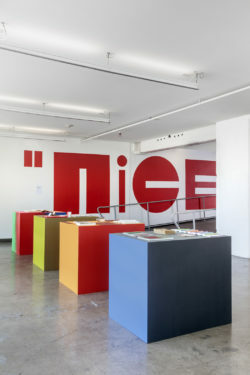 Join us on Thursday, September 27 in the HMCT South Campus Gallery from 6 – 8 PM as we celebrate the release of “nice”: the documentation by HMCT Fellow Lavinia Lascaris of the research, work, and exhibition (currently on view through Sunday, September 30) of our 2018 Typographer-in-Residence Lucienne Roberts, AGI, MISTD, FRSA. 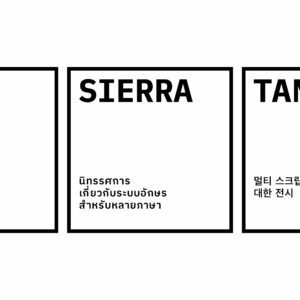 Roberts is a design graduate of Central St Martins College of Art and Design, University of the Arts London and has been practicing as a graphic designer, design writer/educator for over 25 years. 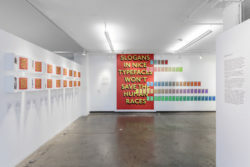 She is co-curator of Hope to Nope, an exhibition that examines how graphic design and technology have played a pivotal role in dictating and reacting to the major political moments of our times, currently on view at the Design Museum, London. The Gallery is located at 950 South Raymond Avenue in Pasadena.